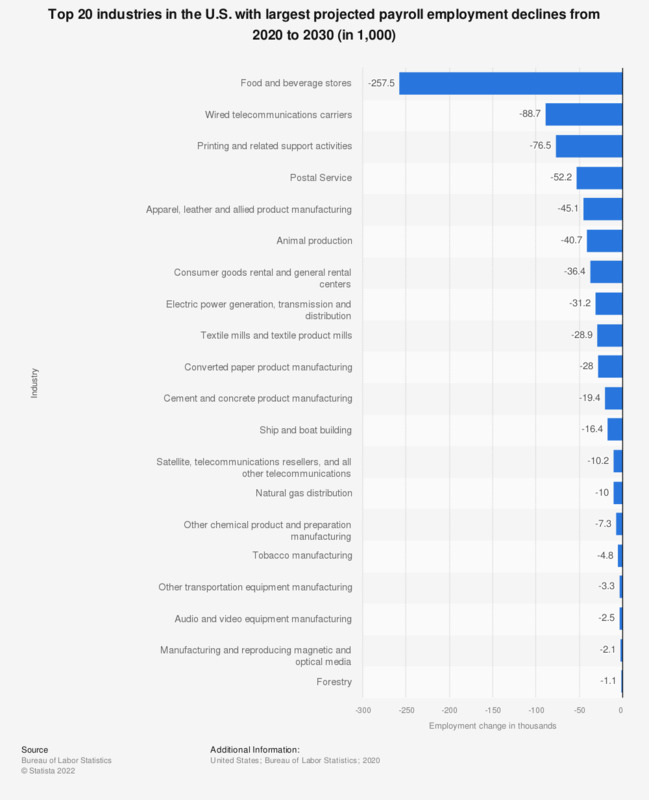 This statistic shows the top 20 industries in the U.S. with largest projected wage and salary employment declines from 2016 to 2026. By the year 2026, the number of employees working in postal service will have declined by about 80,700 jobs. Which sector do you think will be most affected by automated financial advice tools?